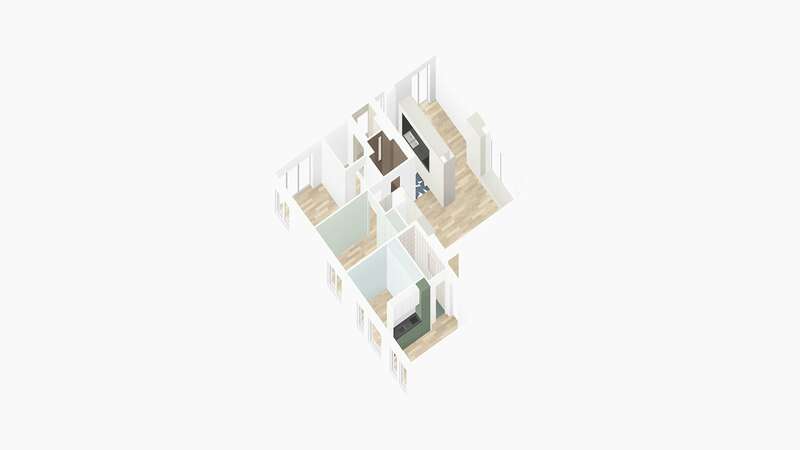 A large apartment has been divided to create a private residence for a newly formed family and a small apartment for temporary accommodations. 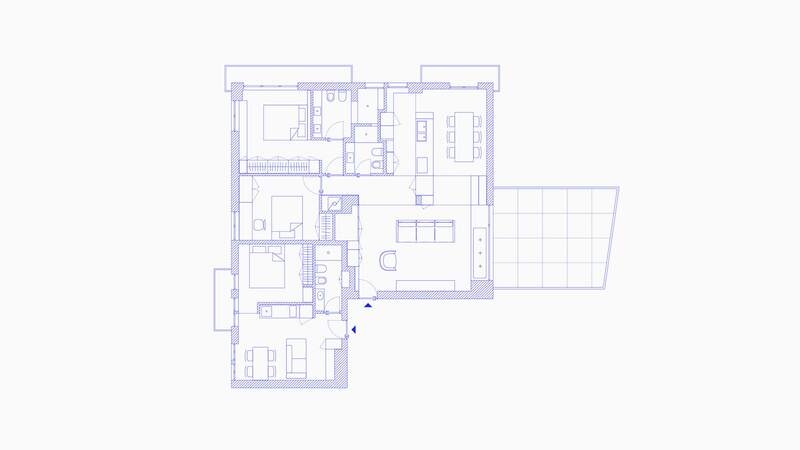 In both apartments the kitchens’ volumes serve as a fulcrum around which spaces and internal distribution revolve. 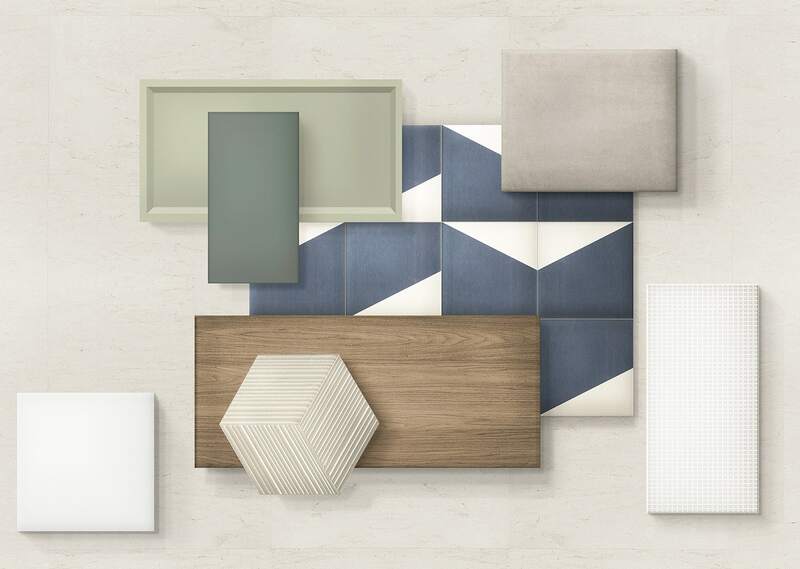 Neutral surfaces and material anchor a soft palette to a strong monochromatic geometry.